(Natural News) Do you start your morning off with a cup of coffee or tea? Many people do – and research continues to show that caffeine can have many great health benefits. Beyond coffee’s reputation for offering an instant pick-me-up, scientists have found that caffeine and its analogs may actually help stave off age-related cognitive deficits. While coffee may give your brain a boost in the short term, it seems that the cerebral benefits of coffee are actually quite long-lasting. 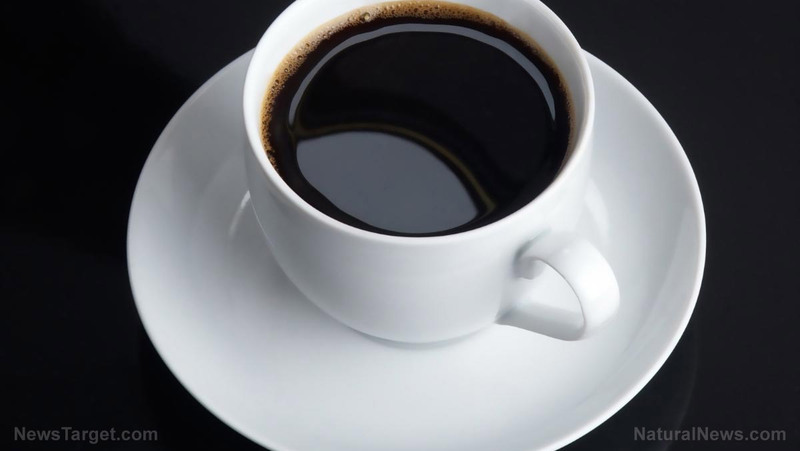 Published in the journal Scientific Reports from Nature, a recent study has shown in animals, caffeine actually counteracts age-related cognitive deficits. Conducted by a cohort of Brazilian researchers from the Instituto de Medicina Molecular (iMM Lisboa), associates from Inserm in Lille, France, and in collaboration with teams from the U.S. and Germany, scientists have shown how a certain receptor in the brain plays a key role in brain aging. Abnormal expression of the adenosine A2A receptor was found to induce aging-like memory impairments in rat models – but it just so happens this receptor is also a target point for caffeine. In the animal models, the team found that using caffeine analogs blocked the adenosine A2A receptors and relieved memory- and stress-related deficiencies, returning the rats back to their normal capacity. Caffeine may help to stop brain-aging in its tracks, but the health benefits of caffeine (and the beloved beverages that contain it) don’t end there. Recent research has also shown that enjoying a daily cup of coffee can yield some miraculous effects on your health – including supporting the detoxification of the liver and gallbladder. As Natural News writer Lance D. Johnson reported, coffee can help prevent the formation of painful gallstones and can even reduce the risk of fibrosis and cirrhosis of the liver. Drinking one cup of coffee per day was also associated with a reduction in liver cancer risk. Research has also shown that drinking a few cups of coffee on the regular can help reduce your risk of death from all causes. Data recently published from a 16-year-long European study has suggested that drinking three cups of coffee daily had a lower risk of death, particularly when it comes to circulatory and digestive diseases – but that’s not all. The study found that coffee drinkers exhibited healthier lifestyles, had better glucose control, as well. While the piles of sugar and cream some opt to put in their coffee may not be the greatest thing for you, coffee in and of itself clearly has a host of health benefits that cannot be ignored.